This bright tasting Easter dessert idea is ULTRA easy to prepare. Even this convenience chef was easily able to bake, make, and create a PEEPS Platter with Easter Bunny Blue Ice Cream Sandwiches in under 15 minutes total! No special recipe required. All you need is a box of Pillsbury’s extra special Blue Raspberry Premium Cookie Mix so you can whip up a batch of sweet smelling blue cookies that you can then spread with chocolate chip ice cream and sandwich together. 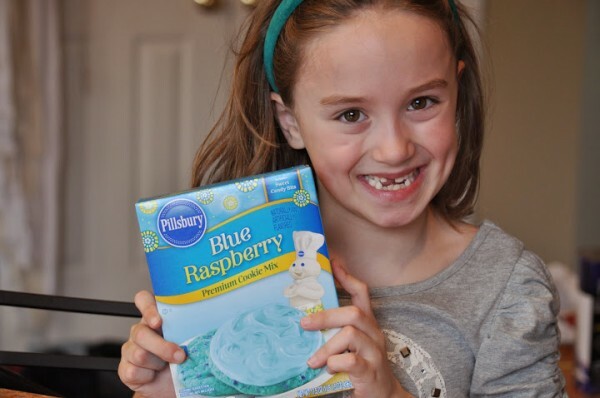 The essential ingredient is this Pillsbury Blue Raspberry premium cookie mix you can pick up seasonally for Spring & Easter at your local Walmart. 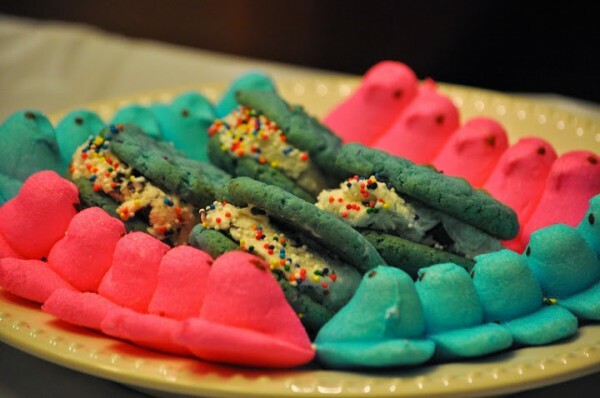 You can decorate a platter however your heart desires, but for Easter I love to get creative with PEEPS and top cupcakes with them or just scatter them around on dessert trays. Makes 12 Ice Cream Sandwiches. 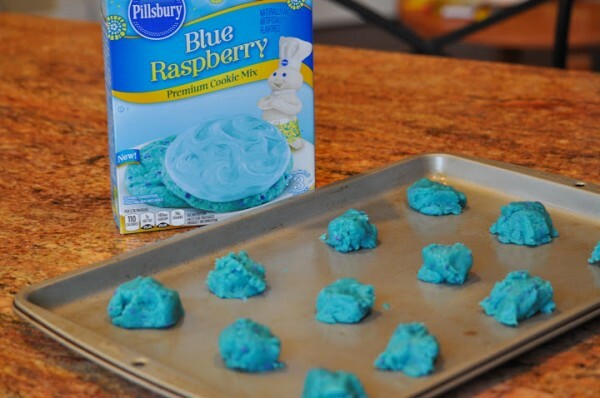 Bake your Pillsbury Blue Raspberry Cookies according to the directions on the box. This will require 1 egg and 1 stick of melted butter. My cookies baked VERY quickly but every oven is different. I took them out after only 8 minutes as they were starting to brown. Next time I’d pull them out at 7 minutes! After cookies cool, spread them with vanilla or chocolate chip ice cream. Eat immediately or FREEZE to serve later. 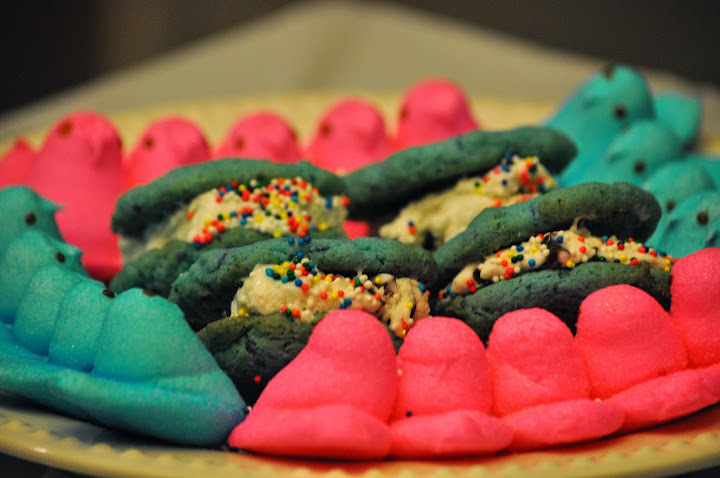 To serve: Place on a platter and surround your ice cream sandwiches with PEEPS. Next, shake sprinkles over your ice cream cookies. You can also roll them into sprinkles on a separate plate first if you’d like. But I like the casual look you get from just shaking it over each ice cream sandwich on the platter.